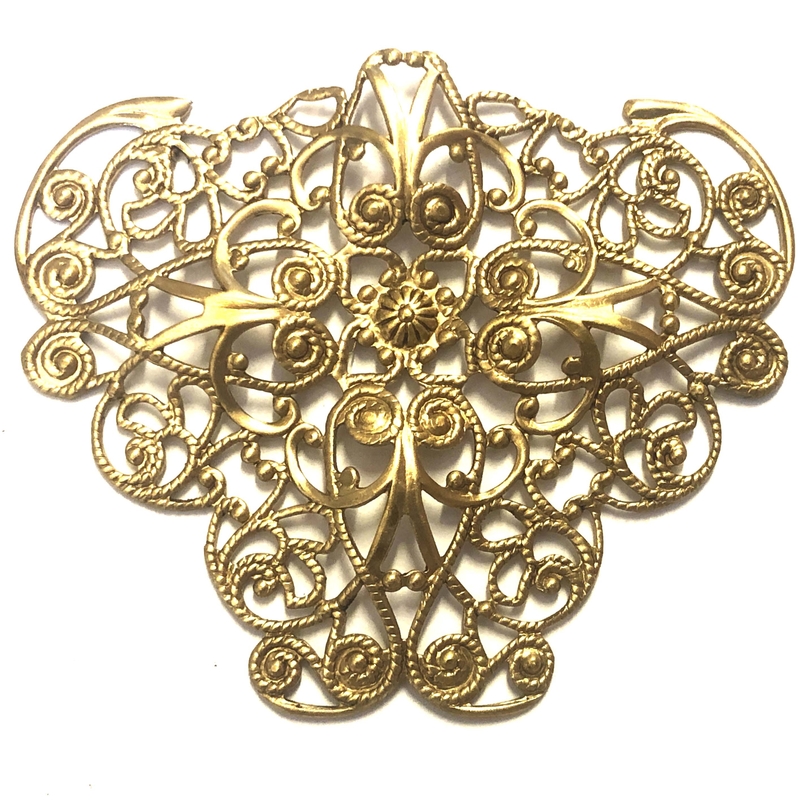 Brass filigree, triangular, beading filigree, raw brass. Easily manipulated, wire or cage to suit your project. 52x61mm. Sold by the piece.